It's a book that deftly details the pain, the unending challenges and the daily suffering of a 12,000-km bicycle journey across Africa, yet it also leaves readers desperately wanting to join the riders through it all. 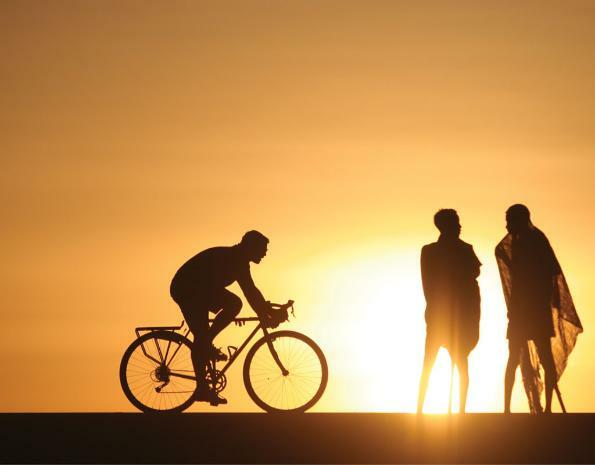 The pages of 10: Celebrating Ten Years of the Tour d’Afrique Bicycle Race and Expedition feature big photos of harsh conditions, crashes and stunning views that riders encounter on the four month trip from Cairo to Cape Town. Over mud, sand, crumbling asphalt and even lava rock, riders -- some inexperienced others seasoned racers -- must overcome obstacles few cyclists will ever experience. In retelling their stories, the travellers featured in this book give you an uncensored account of the pain of days spent in the saddle and the exhilaration of having overcome a challenge of a lifetime. How do you find the strength to ride for four months? How do you stand the heat and punishing road conditions on an exposed bicycle? How strong are the bonds you'll develop with the people you'll meet on this journey? No question, no matter how intimate, remains unanswered in the pages of 10: Celebrating Ten Years of the Tour d’Afrique Bicycle Race and Expedition. This inspiring coffee table book is now available from Tour d'Afrique, get it here. Win a copy of 10: Celebrating Ten Years of the Tour d’Afrique Bicycle Race and Expedition by completing our Readers' Survey!